There is some dispute whether Carnelian name derives from the Latin word for flesh or cherry. Ancient Egyptians wore it constantly, believing that it is a source of renewal and vitality. The Carnelian stone is also mentioned in the Egyptian “Book of the Dead.” He was put into the tomb as a kind of “magic bumper” life after death. Carnelian occurs in different shades and hues, each of which is very beautiful. Ancient stone birthday in many cultures, especially in August. Stone of Taurus, but encourages the thirst for life and those born under the sign of Aries, Gemini and Virgo. Carnelian pays most of its energy on the 2 umbilical or sacral chakra. Carnelian stone increases concentration and helps us to disregard what others say about us. Increased self-esteem and contribute to rapid success in his career. Carnelian stone stimulate creativity, disperses negative energies and replace them with positive ones. It helps you to find guidance in your life and strengthens the feeling in you that control their lives. 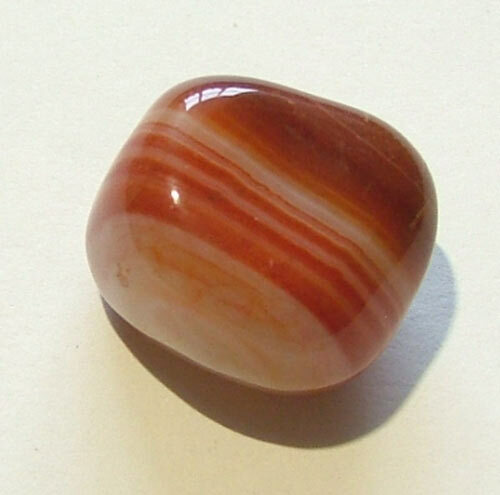 This makes excellent carnelian stone for those who believe that their life is not going nowhere. Carnelian stone balances the creative and organizational abilities, opens and strengthens the chances to make plans. 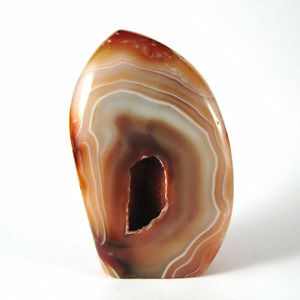 Wear this stone to prevent other people to read your thoughts or dark forces try to influence your mind. There are a lot of legends connected with carnelian stone, who say that this stone protects the soul in the journey after death, and protects it from evil. Carnelian stone applied physically can balance digestion. Many pregnant women put it onto pubic bone every day for 20 minutes if they feel pain in the abdomen below. Carnelian stone promotes the formation of new blood cells and bleeding respond positively when treated with this stone. Natural Carnelian is used for the treatment of open wounds, rheumatism, kidney stones and other renal problems. This stone helps to purify the blood, providing more physical energy. Carnelian was worn on the hand in ancient Egypt to protect the people of anger, jealousy, envy and hatred. Or was to promote peace and harmony and to eliminate depression. It is also used to counteract the negative thoughts and can be applied in spells related to these problems. Carnelian stone is worn to protect you from what others can read in your thoughts. In spells made during the Renaissance, Carnelian stone was generally engraved with a sword or an image of warriors. Amulets with Carnelian stone are placed in the home to protect it from lightning, storms or wore neck protection spells. Once a month this stone should be cleaned with warm water and to reload, leaving it to the sunlight. Wear it so that it is in direct contact with skin. Chalcedony water creates leaving stone for one night in a bowl of water.